Fitting a Fairey overdrive to your Series 3 Land Rover will have heaps of benefits such as better mpg, higher top speed and less noise at speed. If you’ve decided to fit one and you are ready to do so, this guide should give you a good idea about how to do it. Firstly, you are going to need to remove your cubby box or seat as well as the transmission tunnel so that you can get to the gearbox. 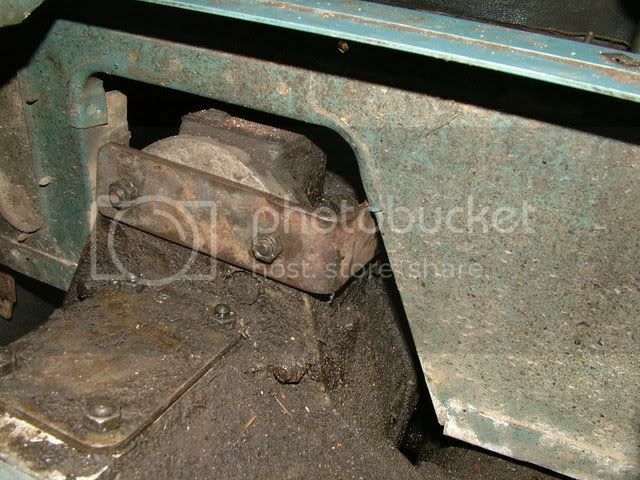 If your Landy is like most, then the gearbox will be inch thick is oil and general gunk, so to make life easier you may want to clean it down using degreaser or a jet wash etc. To remove the special nut, you need a special tool like the one below. You can buy them online or make one out of an old socket. Some people choose to loosen then nut with a chisel and hammer but I wouldn’t recommend that. Start by bending th locking washer tabs back. 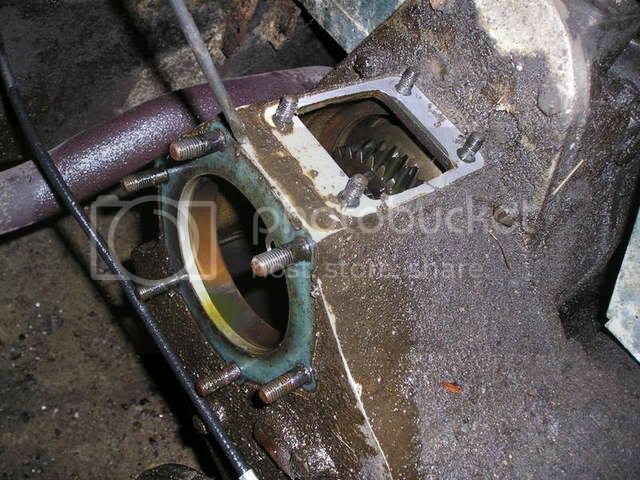 Once the nut is off, you should be able to slide the gear off the shaft and out of the PTO hole. Next you will need to fit the bearing carrier and washers on to the shaft. Make sure the bearing side goes on first toward the front of the car. The bearing sits inside the overdrives input gear. Once thats on, you need to refit the nut tightening it to 100 lb/ft minimum. Then continue to tighten until the locking washer tabs align and you can bend them over. 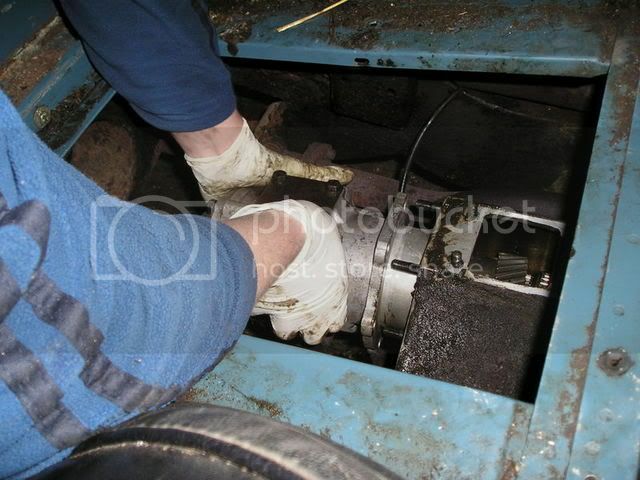 You can go ahead and tighten the nuts up so that the overdrive gearbox is mounted and secure. After that we move onto the linkages and levers. These two bolts will be used to hold the L shape bracket that comes with an over drive kit. The bracket bolts up and toes toward the front of the car on the driver side. This bracket will hold the rest of the linkage. Once the bracket is on, you simple assemble the rest of the linkage and connect it to the overdrive gearbox with one pin. Its as simple as that. 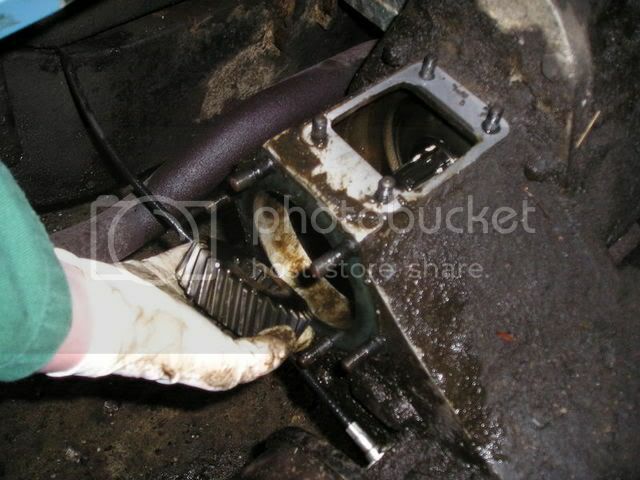 Remember that the overdrive is a gearbox, and so will need oil. Don’t drive without filling it. Its also a good idea to check your gearbox oil while you are here. If you’d like more information about the Series 3 gearbox click here: Land Rover Series 3 Gearbox or to place and order click the blue ‘Contact’ button on the left.